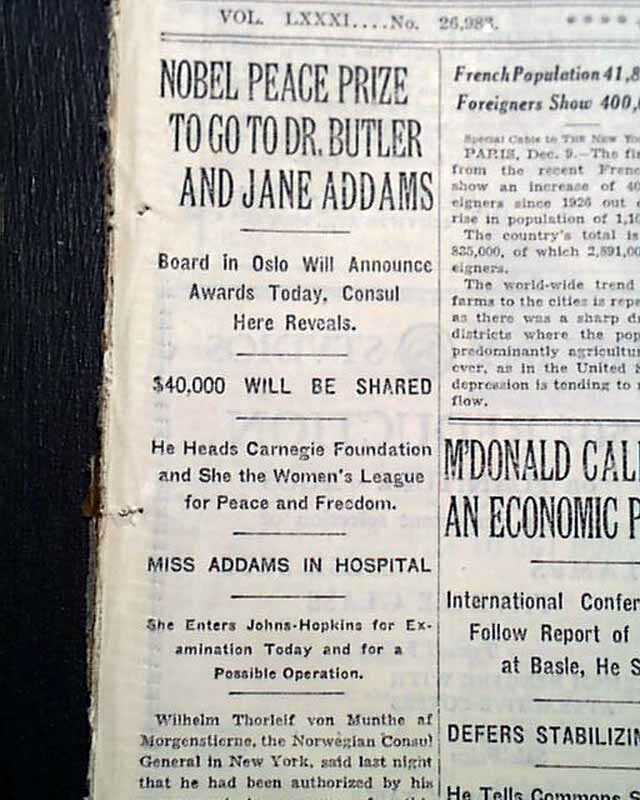 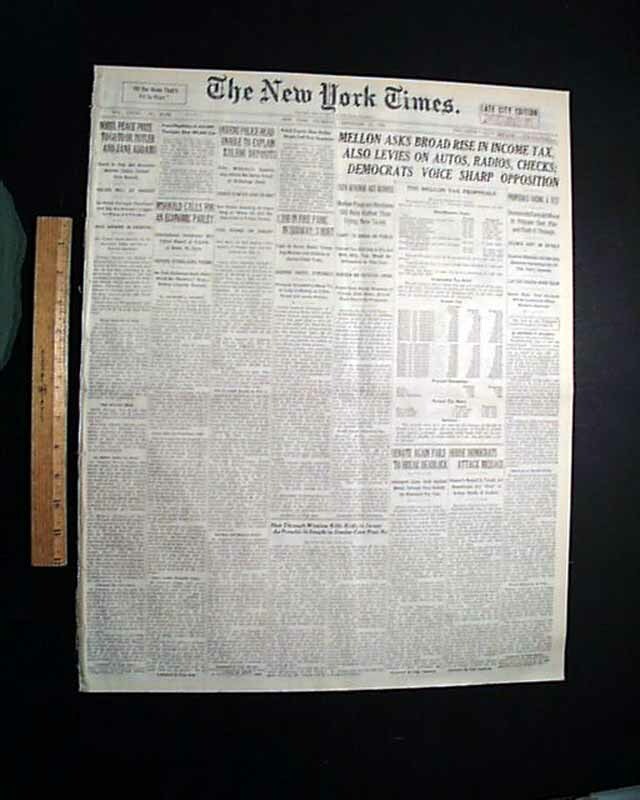 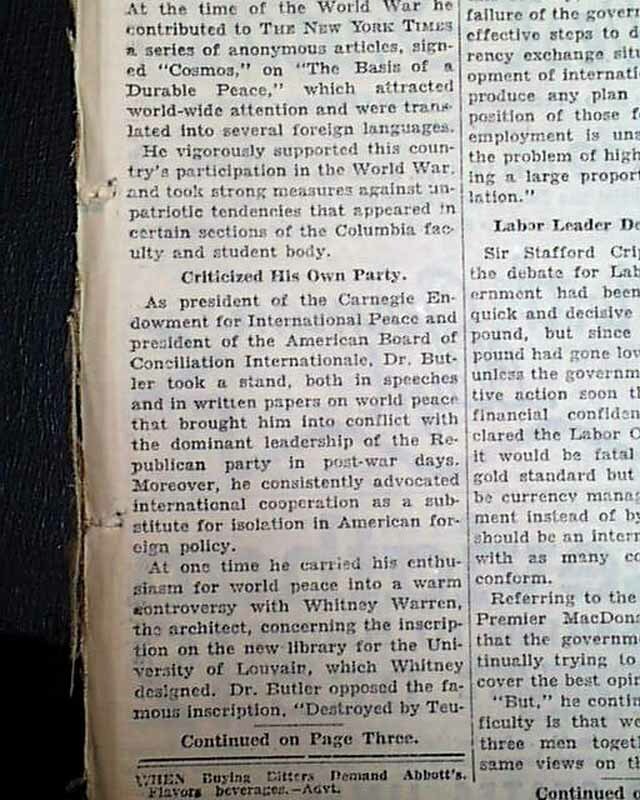 This 48 page newspaper has one column headlines on the front page that include: "NOBEL PEACE PRIZE TO GO TO DR. BUTLER AND JANE ADDAMS" $40,000 WILL BE SHARED" "MISS ADDAMS IN HOSPITAL" and more. 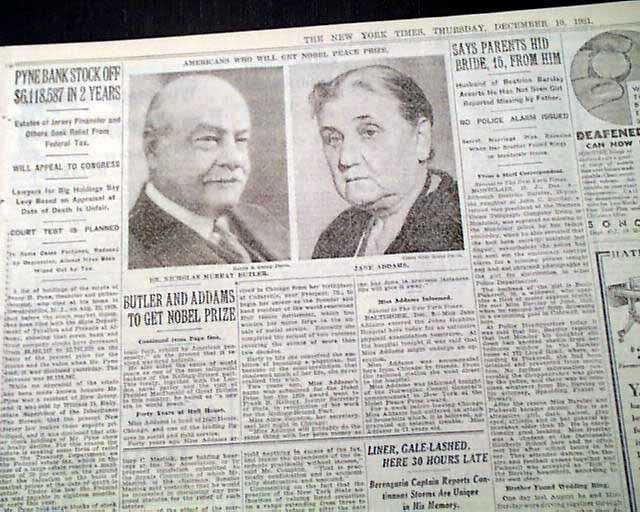 (see) Continues on page three with photo of Addams. 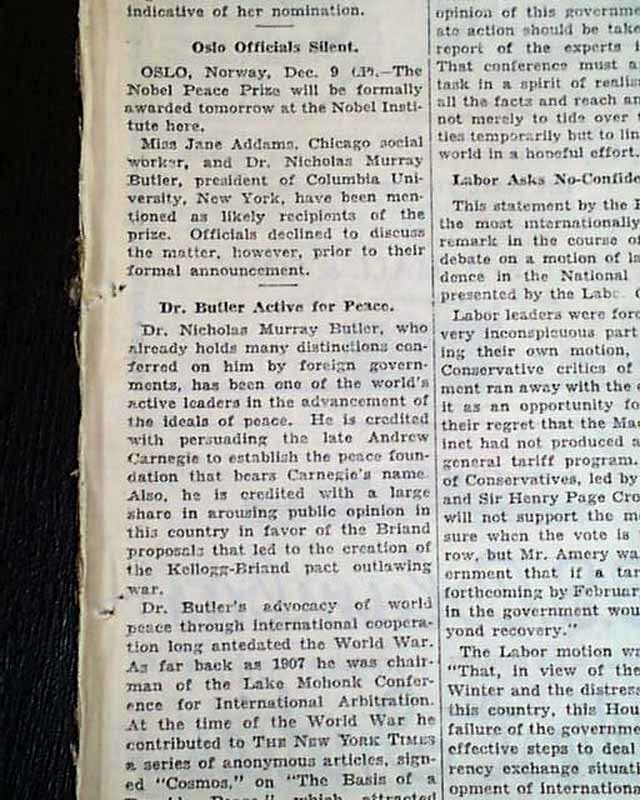 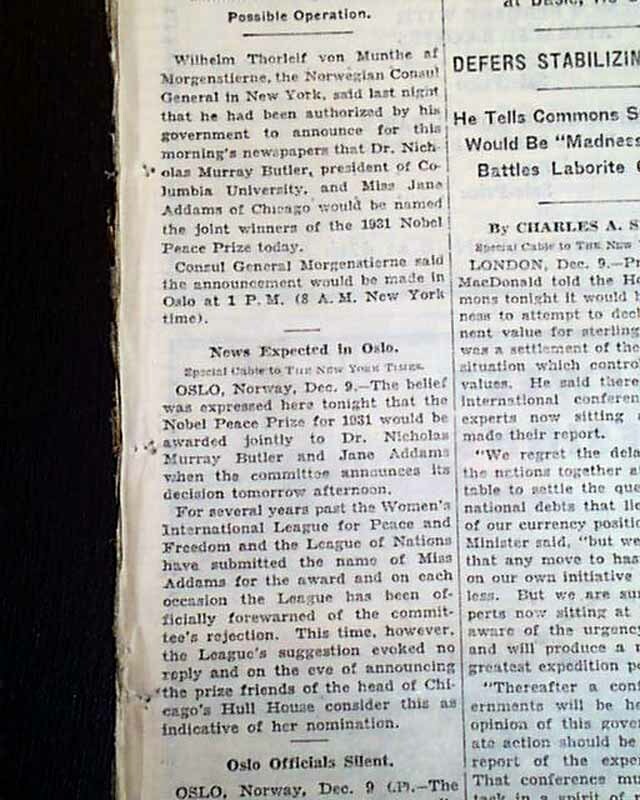 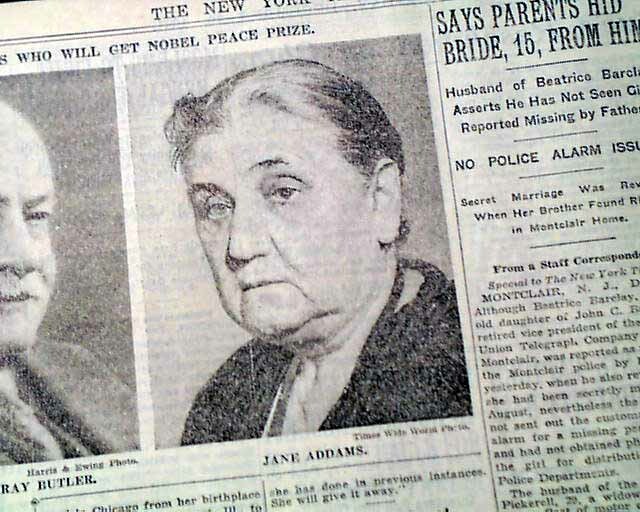 Tells of Jane Addams winning the Nobel Peace Prize, the 1st woman to do so. 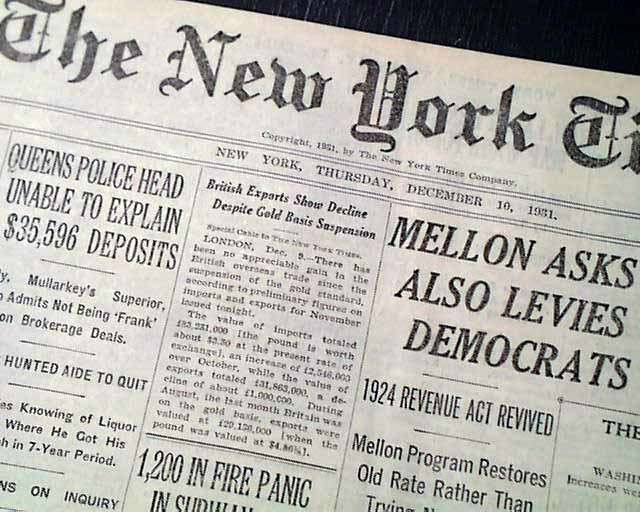 nice to have in this famous NYC title.